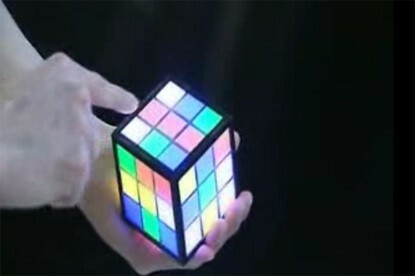 Following hot on the heels of the newly released Rubiks 360 ‘sphere’ cube, Rubiks have now released their first electronic cube. Shaped just like the original the new cube works on the same principles with the following add-ons; you press an on button, you then press the random button to reset the cube, you then you your finger to swipe across the face, moving said squares!! No UK release date yet, but hopefully in the UK before Christmas! !